Things are about to get interesting in your life…as in this message we’ll be taking a deep dive into a high performance execution strategy that once applied can and will radically impact your results. What if you concentrated only on finishing what you started? What if you took things step by step—not focusing on anything but what was right in front of you and on doing it to completion? What if you made finish what you start the dominate philosophy and operating process by which you manage and measure everything you do? In the chaos of life and business, process provides a way. A way to turn a complex project or challenging goal into something simple. Not that simple is easy. 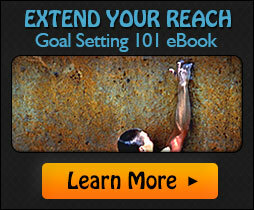 Let’s say you’ve got a challenging goal or complex project. Don’t focus on that. Instead divide the ultimate outcome into smaller pieces and conquer each step. Simply do what you need to do right now with excellence and bring this one task to a finish. And then move on to the next task or step. Follow the finish what you start process and let the big prize take care of itself. The road to being a successful entrepreneur, surgeon, mechanic, salesperson, teacher or coach is just that, a road. And you travel along a road in steps or what some may call mile markers. Excellence is a matter of steps. Excel at this present one, then that one and then the one after that. The finish what you start process is exclusively this—embrace the task at hand, take it one step at a time, not getting distracted by anything else. Act with excellence…and stop only when you bring the task to a finish. Repeat. Trusting the process is ALL about the discipline of finishing. Finishing the smallest task you have right in front of you and finishing it well. Whether it’s pursuing preeminence in your field, or simply surviving some awful or trying ordeal, the same approach works. Don’t think about the end—think about finishing small steps, mile markers. Getting it right from meeting to meeting, project to project, task to task, step to step everyday. And when you dial it in and really get it right, even the most challenging activity become manageable and non-intimidating. That’s what the process is all about. Under its influence, we needn’t panic. Even mammoth tasks become just a series of component parts which all need to be brought to a finish. The finish what you start process applies to all goals and projects no matter the size. 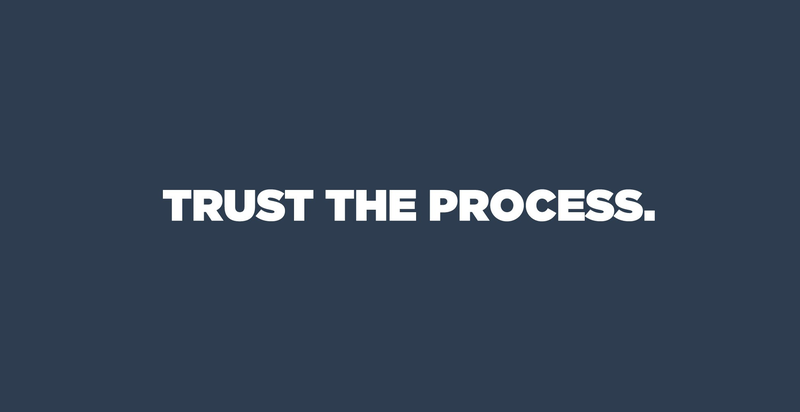 Trust the process as I’ve laid out for you…stick to the task at hand. Focusing on what’s immediately in front of you. No strain, no squirming, no struggling. Be patient and stay relaxed. Just engage in one simple movement after another. Finish every small task you start, and you’ll soon capture the prize you desire. That’s the power of process. When it comes to our actions, disorder and distraction are the kiss of death. The unordered and undisciplined mind loses track of what’s in front of it—what matters—and gets easily distracted, overwhelmed and intimidated by challenging goals and complex projects. The finish what you start process provides order and certainty in times of disorder and uncertainty. It keeps your perceptions in check, your actions in sync and your confidence level high. It seems obvious, take things one step at a time, bring each task to a successful finish…but we forget this when it matters most. We far too often shy away from ambitious goals or projects like writing a book, making a film or starting a business even though it’s our dream because it’s so much work—we allow ourselves to get overwhelmed and can’t imagine how we get from here to there. How often do we compromise, settle for less or even throw in the towel because we feel that the real solution is just too big or outside of our capabilities? How often do we assume that change is impossible because it’s too ambitious? Involves too many different groups with conflicting agendas and too many personalities? Or worse, how many people are paralyzed by all their ideas and inspirations? They chase them all and go nowhere, distracting themselves and never making progress. They’re brilliant, sure, but they rarely execute. They rarely get where they want and need to go. The good news is that all these issues quickly collapse beneath the power of the finish what you start process. We’ve just been making the wrong assumptions about growth and progress. Dream big, set your sights on a mammoth goal, visual the outcome, feel it, taste it, smell it, fall in love with it and then release it. It’s no longer “if” but “when” it will be achieved. Divide the goal into bite-sized morsels and conquer each step. Focus only on the task at hand. Execute with certainty and conviction by finishing everything you start—and follow its thread into the next action. Trust the process, follow the process…and victory is guaranteed. P.S. To learn a number of other world-class execution strategies that help you crush your goals and finish strong…get your hands on this manifesto.